It’s been an exciting few months at DPS Publishing with the release of a new look website, a new corporate structure and now the rebranding of its DPS News page. 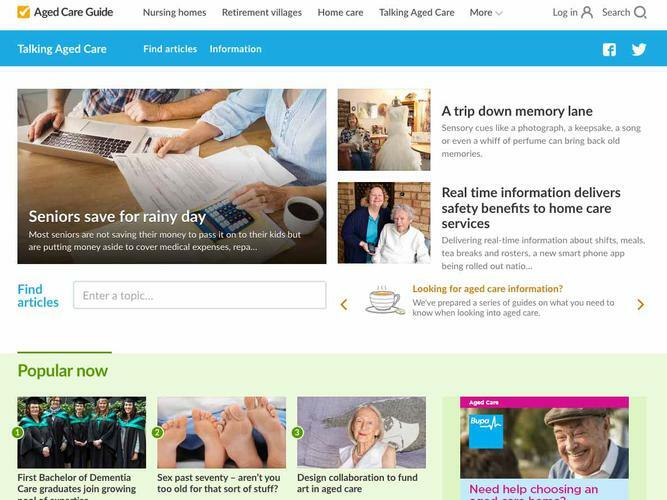 From today the news page will be known as Talking Aged Care, with a fresh new website bringing DPS’ aged and community care news and information resources together. “I’m extremely proud to be launching Talking Aged Care today and am excited about the high quality content we’ll continue to produce under our new name,” says David Baker, CEO & Founder of DPS Publishing. Talking Aged Care will continue to inform readers of the latest industry news, aged related issues and older people’s achievements as well as present useful aged care and senior living information. “From news items about Government legislation and the latest dementia research to ‘tips for caring for an elderly parent’ and ‘fall prevention hacks’, Talking Aged Care will cover a massive variety of subjects,” Editor Margot White adds. “We want to focus on quality resources for those with a personal or professional interest in aged care. “On Talking Aged Care you’ll find the latest research, real life stories, issues facing older Australians and the inspiration to live well later in life,” Ms White says. Subscribers to the DPS News Weekly Newsletter will automatically receive the renamed Talking Aged Care Newsletter in their inbox.